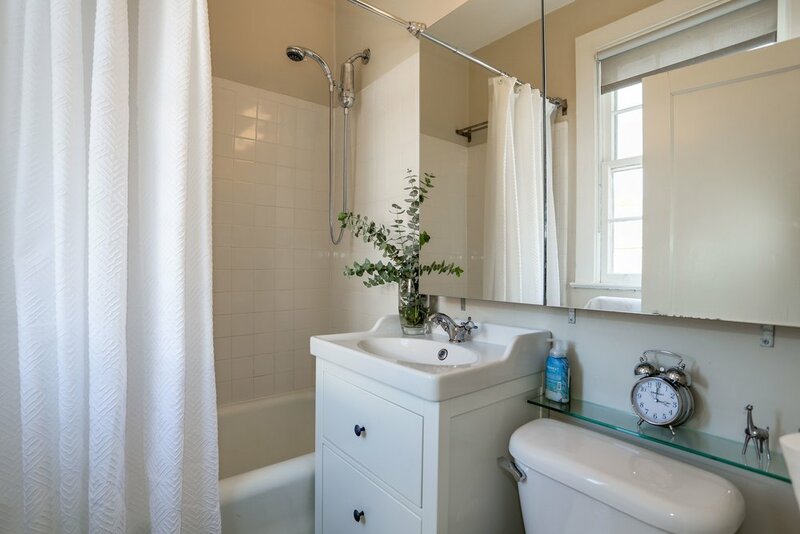 Warm and welcoming, this lovingly cared for home is surrounded on all sides by bright windows. Light streams in and paints a patchwork of colors on this 1936 farmhouse. Out front, there’s a wrap-around porch from which you can overlook your homestead. Sure, the “farm” is more of an oversized yard, but that’s the next closest thing in the City. Steeped in character, the doors and windows are framed in original oak woodwork. Well kept oak hardwood floors are throughout. There’s radiator in every room - the best heat for a home this size. A spacious dining room with room for large meals looks into an updated kitchen. In the kitchen there’s red contemporary cabinets, butcher block counters, stainless steel appliances and gas cooking, for all you chefs. Upstairs are three large bedrooms, two of which have multiple exposures and a white tile bath. The basement is fully finished with a bathroom, utility closet and a big laundry room with extra storage. 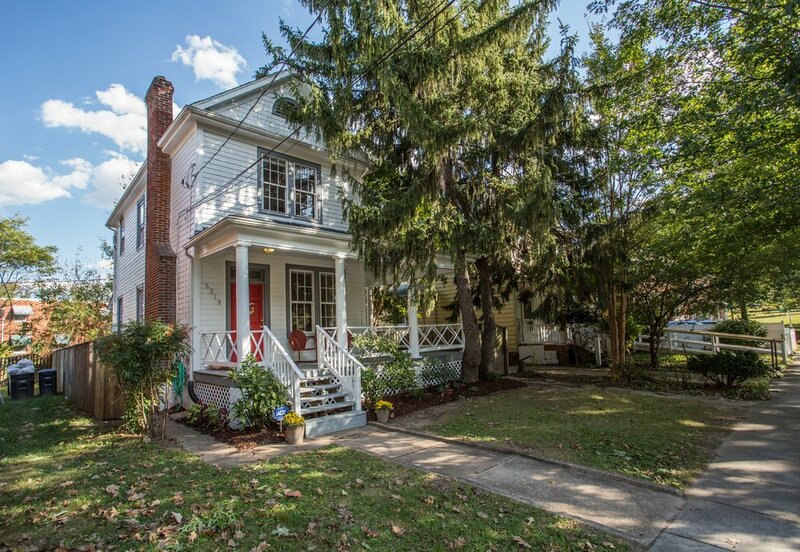 The fenced in backyard is accessed via a rear deck and extends along the southern wall up to the front porch. 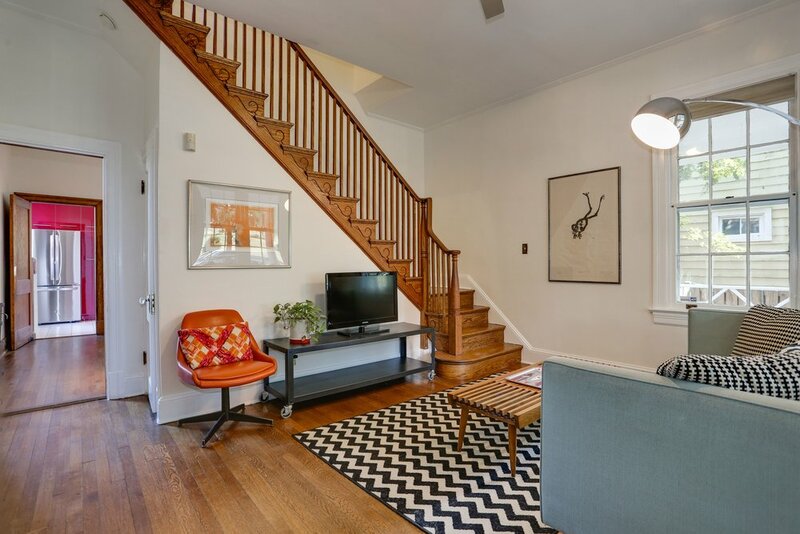 Located in the northernmost part of DC, the neighborhood of Brightwood is most known for its spacious homes and quiet streets. While the neighborhood itself is mostly residential, it is bordered by the bustling and rapidly developing Georgia Avenue. 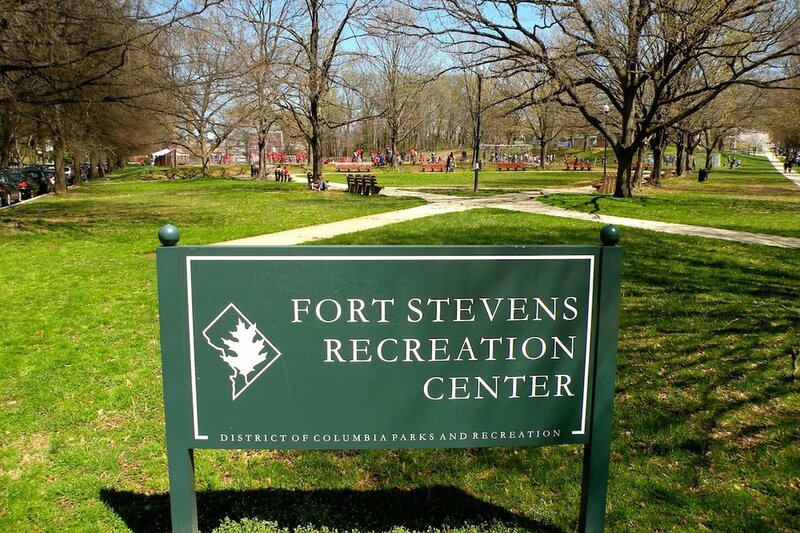 Highlights include; easy access to Silver Spring, Walter Reed, Takoma Park, & the new Walmart on the corner of Missouri and Georgia. The restaurant scene features spots such as Haydee’s, Wapa Cafe, Julia’s Empanadas, and BBQ Bus Smokehouse.